Are you working on that passion-based business or project that lights you up, yet you know something is missing? OMG, I have totally been there. but I didn’t know how to “do more” than I was already doing. Deep down I wanted to impact the world and create a greater freedom than I had ever experienced. I created a greater FREEDOM than I ever imagined was possible. I realize that freedom is different for everyone, and that’s the beauty of life. YOU get to decide what that looks like for you. Maybe it’s you traveling to different countries, maybe it’s you being able to work from home with your family, or maybe it’s you being in charge of your schedule. For me, I am now traveling the world doing what I love! If you know deep down that you desire to feel free in all areas of your life, then girllllll, we NEED to work together. Have you been sitting on a business idea for too long? OR, have you technically launched your biz, but the money still isn’t coming in, and you’re stuck on what’s next to get the ball rolling? This 30-day course is outlined to uncover and package your perfect offer, create a plan to connect to your ideal client and set you up to move forward confidently doing what you LOVE! Your ultimate tribe of creative girl bosses who are all working on the same goal of FREEDOM. We go through this journey together and I guide the way! Book your free consult to see if this is a fit for you! This is your all-access to me. 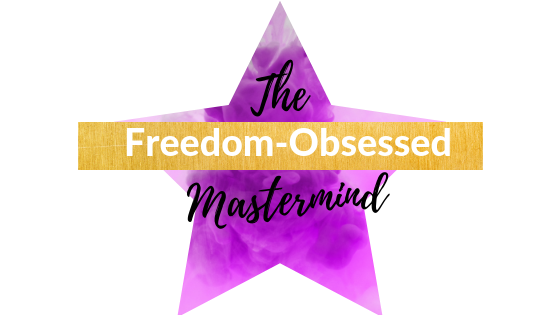 You and I work exclusively for 6 months and take your business on a journey from never-ending circles of unwanted or frustrating results to complete freedom, emotionally, physically and financially. Schedule a free #domore Strategy Session with me below to see what option will work for you.